Mention "Fall Commodore Expo" for special $69/night room rate! # Join the VCF-MW Facebook group! # Visit for extra ECCC Facebookery. 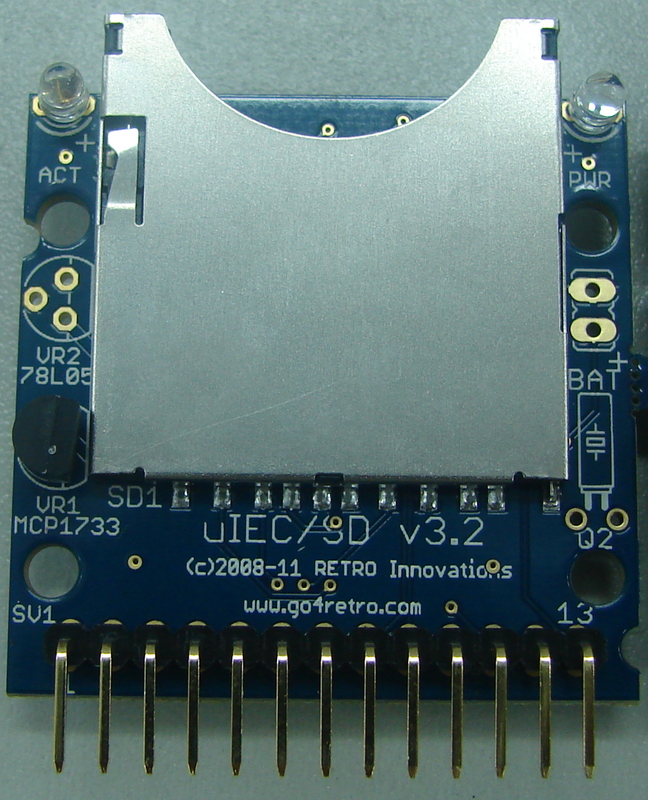 After what seems like an eternity, the first 50 uIEC/SD units have been shipped from the assembly house. Exhibiting the longest design/manufacturing cycle I’ve ever witnessed, they’ve been unavailable since late April, 2011. For those new to the saga, the normal stock re-order process in early May ran aground when the specified SD socket was unavailable for purchase. Though the socket had been discontinued (and the manufacturer did send me an email), the sales distributor showed (and allowed me to order) a last batch of units. I had no idea the distributor would be overcommitted and call notifying me they could not fulfill the order. 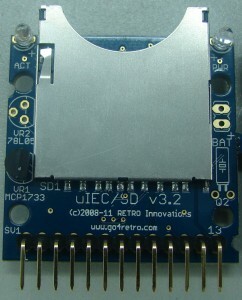 That call set off a multi-week effort to find alternate stock, which then morphed into finding another option that fit the footprint, and finally resulted in redesigning the board to accommodate a new SD socket option. That delay ate up the entire month of May and part of June. Things started getting interesting in late June, as I awaited new stock. First, the date slipped, which was not altogether surprising (it was but an estimate at best). 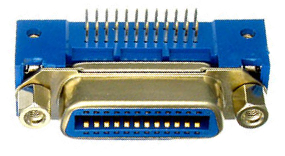 Then, the assembly house sent word the DIN6 IEC connectors would not fit in the daughtercard footprint. This was not a showstopper, as I had sourced connectors for another project that would work. A while later, the assembly house IMed on a Thursday night that the new SD connector would not fit the design. I double-checked the PCB design and measured the sample units. Everything looked correct. I asked for a picture to view the issue. They promised one later that day. But, they are a half day ahead. I received it the end of their day, Friday morning here in the US. By that time, they had gone home for the weekend. Looking at the picture, I immediately solved the problem. They were trying to solder the old SD socket onto the new PCB design. Still, that wasted time. Luckily, after nearly suffering heart stoppage over the SD socket issue, the rest of assembly went relatively smoothly. Complicating the shipment: most pre-orders specified a daughtercard option. Thus, both items required assembly before any orders could be filled. As well, I produced the new daughtercard design in this order. Now, to see if my design skills are good enough to overcome the lack of prototype assembly and testing. Since RETRO Innovations opened for business, I’vetaken advantage of solutions like USPS.COM and the USPS integration in Paypal to print shipping labels in the office. When shipping volume rarely hit 5 parcels a week, typing addresses into the USPS.COM website, and filling out customs information on either solution was bearable, though annoying. However, as sales volumes increased, I found I dreaded fulfilling non-Paypal and foreign orders. The former has no integration with the post office, so addresses required manual entry. The latter required a customs form, which was a manual process as well. This week, after filling 30 or so overseas orders, I’d finally had enough. It was time to find a better solution. Luckily, my shopping cart vendor (BigCommerce) now offers integration with a Shipping Manager called ShipWorks. So, I downloaded a trial and started evaluating the solution. Color me impressed. Arguably, I did not do a comprehensive vendor selection, but I’m not sure I need to evaluate any other solutions. ShipWorks offers Fedex, UPS, and USPS shipping, pulls shipping addresses from the actual order (no more wrong shipments because the customer used Paypal and has an outdated address in that system while putting the current address in the order), updates the order when shipping labales are printed, tracks the shipments (if possible), offers all of the post office postage types (first class, parcel post, etc), and automatically handles customs forms. The list of features goes on far beyond those, but the above are my pain points. After playing with the solution for a few days, I determined that it will print the shipping label from one printer tray (which holds self stick labels) and can also print a packing slip from another tray (which contains regular paper). This may alleviate shipping delays to Germany, as I previously did not send invoices. In an instant, order fulfillment went from dread to delight. Stuffing orders used to take the least time, now it far exceeds postage printing duration. I’m not overly wild about the tiered pricing, nor that the solution requires an additional monthly subscription to Endicia or Stamps.com for postage purchase. However, in light of the time saved, it’s a cost I can bear far easier than the time wasted in manually handling postage labels. I hope customers see the value as well, both in more professional presentation (invoices, logos, etc. ), and swifter delivery. If I can determine how, I plan to enable multiple shipping providers. Some overseas customers lament the slow pace of USPS Priority Mail and encourage offering a more expensive, but more timely shipping service. I hope to provide that soon.